Can you help us find these wonderful animals a home? Contact us or come to the shelter to see them. 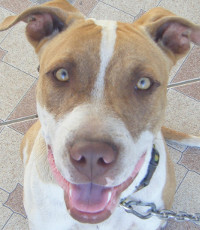 Male Pit. Sweet, loving, intelligent, plays well with other dogs and loves tummy rubs. 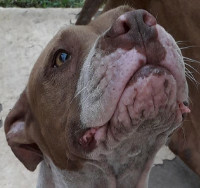 Female Pit. Loving, affectionate, great with people of all ages. Doesn't like cats or small dogs. Would do best in a home with no other dogs. 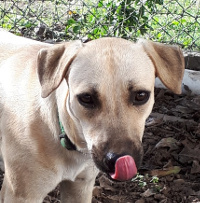 Female Coconut retriever-Still very shy around people but a very gentle dog who loves to be around other dogs. Would do best in a home with at least one other dog.